The SF-12 stereo coincident ribbon microphone combines high quality audio performance with outstanding stereo separation and imaging. It is a modern ribbon design with no audible diffraction effects or cavity resonance. An SF-12 is actually two matched ribbon microphones placed one above the other; each aimed 45 degrees from center in the classic Blumlein configuration. The frequency response is excellent regardless of the angle of sound striking the ribbons and off-axis coloration is negligible. The SF-12 utilizes two 1.8-micron ribbons, each weighing approximately 1/3 milligram and producing superb transient response. 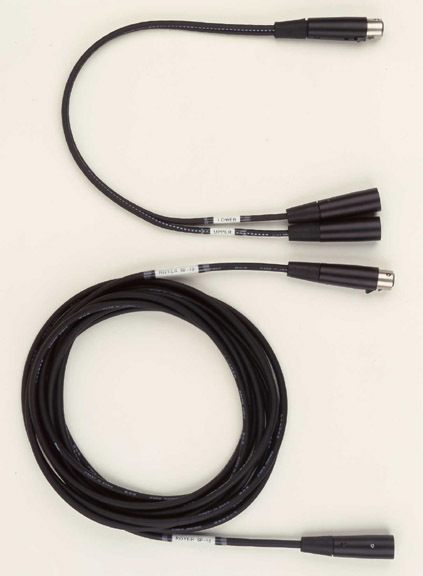 The two ribbon transducers are magnet/pole piece structures that produce a wide, uniform frequency response with no substantial peaks or dips. The case is ingot iron and forms part of the magnetic return circuit, an effective system with low leakage flux which accounts for the relatively high sensitivity in a trim package. 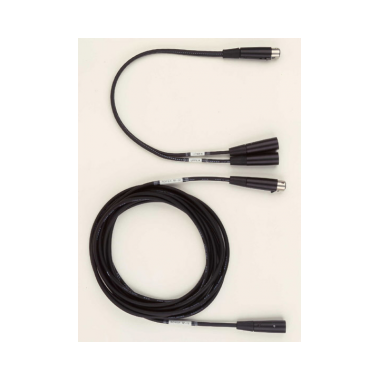 The SF-12’s extension cable comes with a Y adapter that splits into separate 3-pin male XLR connectors labeled “Upper” and “Lower,” for the upper and lower capsules of the microphone (when held vertically). The SF-12 is uncanny for creating “you-are-there” stereo recordings that capture not only the instrument being recorded, but, depending on positioning, the acoustic environment as well. If you pay careful attention to the sound of an instrument or ensemble in the recording environment, you will likely find a place where it sounds best to you. Position the SF-12 in that place and you will capture that sound. The SF-12 is an excellent choice for drum overheads, where its stereo imaging and realism help to create powerful, dynamic drum tracks. In a jazz setting, recording the kit flat provides extremely natural sounding cymbals, tom-toms and snares. In rock and pop recordings where you’d like to capture the meat of the kit but with more air on the cymbals to help them cut more aggressively, simply open the top end up with EQ. Ribbons take EQ extremely well because they generate virtually no self distortion. When you boost a frequency, even by many dB, you’ll bring up only the musical response you’re looking for without unpleasant distortion artifacts joining the party. Phase compatibility between the two sides of the SF-12 is excellent, allowing you to combine the two channels for mono recording without creating phase artifacts. This is particularly useful when capturing a wide sound field in mono; for instance, a singer who tends to move off the “sweet spot” of a mono microphone. Either side of the SF-12 can also be used individually as a mono microphone. Royer Labs is dedicated to the art of the ribbon microphone. 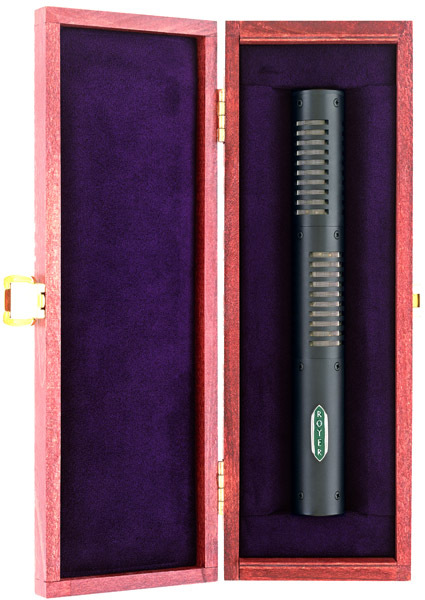 In 1998 we introduced the R-121, the modern ribbon mic that reintroduced ribbon microphones to engineers worldwide and put ribbons on the map. Shortly after the R-121 we released the SF-12 stereo ribbon mic, followed by the R-122, the world's first phantom powered ribbon microphone. Then came the TEC Award winning R-122V tube ribbon microphone and the TEC Award winning Live Series ribbon mics for live use. 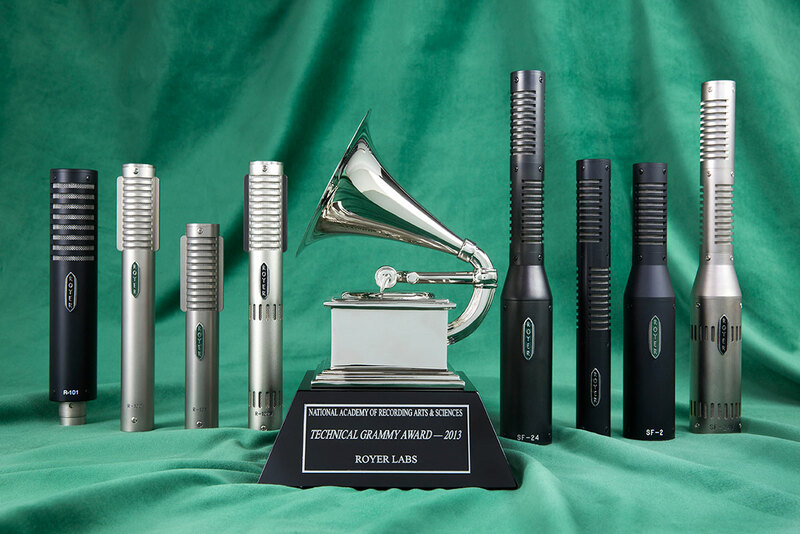 In 2013, Royer received the coveted Technical Grammy Award for bringing ribbon microphones into mainstream recording around the world. The microphone is the original ear in the recording process, the first and most influential part of the recording chain. Royer ribbon mics simply help you capture the most natural sounding recordings possible. Every Royer is hand-made in the USA by craftsmen who are fanatical about building the best ribbon microphones in the world. 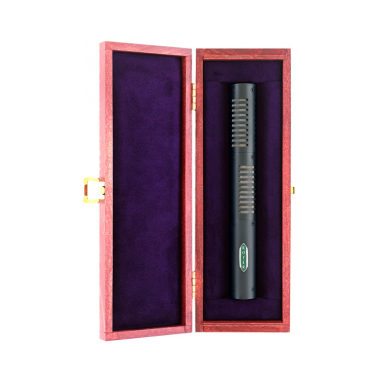 Come inside and see what ribbon microphones can do for you.